Urinary tract infections hurt. It hurts as your bladder fills, you constantly feel the need to pee and when you do it feels like knives are coming out of your body. You do not experience post-void relief and immediately feel like you need to pee again. Your doctor asks you to urinate urinate in a cup, you are (thankfully!) told you have a UTI, you are given medication and in a few days you are back to normal. What happens when you have those horrendous symptoms and there is no infection? November is Bladder Health Awareness Month and November 27th – 30th has been designated Interstitial Cystitis Awareness Week. We are dedicating this week’s blog post to Interstitial Cystitis/Painful Bladder Syndrome (IC/PBS), Chronic Pelvic Pain Syndrome/Nonbacterial Chronic Prostatitis (CPPS) and the role physical therapy plays in treating these disorders. These syndromes can cause debilitating pain, the type of pain that leaves patients actually HOPING to have an infection, because that means there is a fast treatment. Unfortunately in most cases of IC/PBS/CPPS cultures return negative and patients and their doctors are left wondering what is going on and what to do about it. Hypertonic pelvic floor muscles cause symptoms that feel like a urinary tract infection? 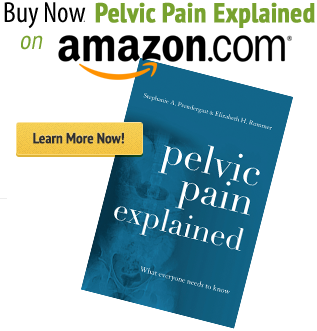 Hypertonis and/or myofascial trigger points in pelvic girdle muscles, such as the rectus abdominus muscles and adductors, can also cause urinary urgency, frequency, and burning with urination? Hormonal changes during menopause, breastfeeding, and oral contraceptive use can compromise the peri-urethral tissues and contribute to symptoms of urgency and frequency, dysuria, and urethral pain? The majority of men diagnosed with ‘Prostatitis’ never had an actual prostate infection? Skilled pelvic floor physical therapy can reduce these impairments and lead to a reduction in symptoms? Multiple studies have been published on the association between pelvic floor/girdle muscle dysfunction and Interstitial Cystitis/Painful Bladder Syndrome and Chronic Pelvic Pain Syndrome. These studies show that dysfunction in the musculoskeletal system can mimic urologic dysfunction (1,2). This means patients with symptoms of urinary urgency, frequency, and burning in the absence of infection can benefit from a pelvic floor physical therapy evaluation to determine if pelvic floor dysfunction is a contributing factor to their symptoms. To read more about what this type of evaluation entails please click here. But how effective is physical therapy treatment for these symptoms? In 2009 a prospective, randomized, blinded, prospective multi-center study was initiated by Rhonda Kotarinos and Marypat Fitzgerald.3 This high-powered study was the first of its kind to be published on the role of myofascial physical therapy for the treatment of urologic chronic pelvic pain syndrome. The investigators compared two methods of manual therapy (myofascial physical therapy and global therapeutic massage) in patients with urologic pelvic pain symptoms. In the study, 49 men and women enrolled and were divided into two groups. One group received skilled myofascial pelvic floor physical therapy and the control group received general massage, one hour per week, for 10 weeks. 94% of the participants completed the study, demonstrating that it is feasible to conduct a larger study on myofascial physical therapy treatment. Importantly, this trial also showed that 57% of the group that received skilled pelvic floor physical therapy demonstrated improvement, and this group showed statistically significant improvement over the group receiving massage. These studies are important because they demonstrated the role the musculoskeletal system can play in what seems to be solely a bladder or prostate problem. Furthermore, they demonstrate that manual pelvic floor physical therapy treatment can play an important part of someone’s treatment plan. The role of a pelvic floor physical therapist does not stop manual therapy alone, however. These quality studies show that physical therapy can help reduce or eliminate the symptoms of Interstitial Cystitis/Painful Bladder Syndrome and Chronic Pelvic Pain Syndrome as well as have a positive effect on pain, disability, and catastrophization in patients with these debilitating pain disorders. But the role of physical still does not end with manual therapy and pain physiology education. Physical therapists are often afforded the most one-on-one time with patients. Therefore, we are well-positioned to help the patient figure out how they developed their symptoms and link their history to their physical findings. This is called an assessment and it often includes components such as the differential diagnosis and development of an interdisciplinary treatment plan. Specialists working with patients with IC/PBS/CPPS will tell you that no two patients are alike and therefore standard one-size-fits-all protocols are not effective. Each individual will have different levels and combinations of musculoskeletal, central and peripheral nervous system, and urologic impairments. Physical therapists can help patients identify why certain treatments have worked and why others have failed, and can use critical reasoning skills to help them set reasonable goals. Patients with these disorders often have multiple doctors and other healthcare providers involved in their care. Physical therapists can help them organize the treatment plan to make sure their goals are being met and they are improving. Individualized treatment plans may include various combinations of medications, medical interventions, physical therapy, cognitive behavioral therapy, hypnosis, diet management, yoga, etc. It is a lot to understand and manage, however, functional improvement and complete symptom resolution is totally possible. 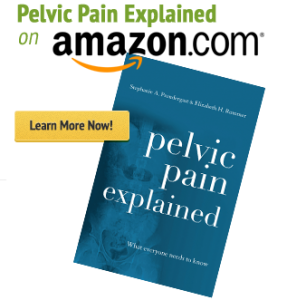 You can read more about this in our previous post “Why a ‘diagnosis’ is not the key to recovery”, and in our book, Pelvic Pain Explained. As a physical therapist myself, I value the role we can play in helping patients organize their treatment plans, use education to reduce the understandable anxiety that comes from being diagnosed with IC/PBS/CPPS, reduce or eliminate the terrible symptoms with skilled manual techniques and home exercises, and help people put these problems behind them and move on with their lives. They can stop hoping for positive urine cultures because they understand the true causes of their symptoms and are equipped with the tools to treat them. In honor of Bladder Awareness Month and Interstitial Cystitis Awareness Week, we ask that everyone reading this share this post with at least one person who may not know about the role pelvic floor physical therapy can play to help people with IC/PBS/CPPS! Do you know of a PT for pelvic pain/IC near the Frederick, MD; Gettysburg, PA area? Please use the link below to find a pelvic floor physical therapist in your area.